Allen: "Very limited and closed amount of words they used. Where`s the proficiency??" Dustin: "Endless waiting lead to nothing. Does your writer even native?!" Valery: "Bad coincidence I could have avoided if better prepared "
By the time students enter college, they already know how to make a bibliography for research papers. In fact, there are now tools that streamline this, creating perfect entries in any format. The real issue for college students is the quality of the research they conduct in order to write those research papers. As individuals, partners, or in small groups, our schooling will involve projects. Kids actually begin early these days, and, by the time they reach college, they have had plenty of experience creating and presenting projects. Essay writing is the most common assignment for students, and college essay writing is especially challenging, given the expectations for research and writing skills on the part of professors. No matter what the course, students will be graded on their writing skills along with the content of the piece. So, you’ve dropped out of college. Well, you certainly are not alone. You and many others in your position are now wondering. I quit college, now what? Well, first it isn’t the end of the world. This is a good time to take a step back and figure a few things out. Then, you can plan your next steps as you navigate life moving forward. 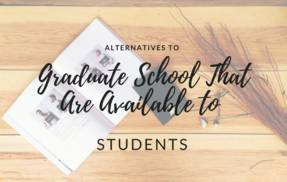 If you’re considering getting your master’s or PhD, there are many things to consider. First, how expensive is grad school? Can you afford it? Is staying in school after graduation the best choice for you or your family? Is the graduate degree necessary for careers in your field? What is the likelihood of your getting into a program such as engineering or earning your MBA?